Today is a very special day in Columbus - the 35th anniversary of Jack Hanna&apos;s arrival here as Zoo Director. In those 35 years, he and many others have turned the zoo into America&apos;s best. Jack&apos;s love for Columbus is just as strong as his love for wildlife - he&apos;s always willing to step up to help this community in any way he can. Thank you Jack, for everything you do for Columbus, and for nature itself! The Zoo, and the city have both changed a lot since Jack has been here. 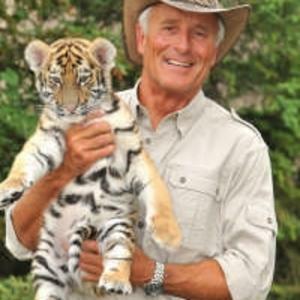 Here are just a few fun facts about why we love Jack Hanna! Jack has 14 khaki outfits in his closet - but only one hat. When Jack began his tenure at the Columbus Zoo in 1978, the zoo didn&apos;t contribute any money to wildlife preservation. Today, annual contributions top $1 million. In 1978, the Columbus Zoo encompassed 78 acres. Today, the Zoo spans 580 acres, with an additional 100 acres to grow into. In 1978, annual attendance at the zoo was about 350,000. 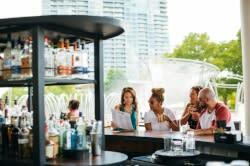 Today, 2.3 million people visit every year! Do you love Jack as much as we do? Share your love on Facebook and Twitter by using #hannaversary. If you&apos;re really diehard, wear khaki and share your photos using #caughtinkhaki!